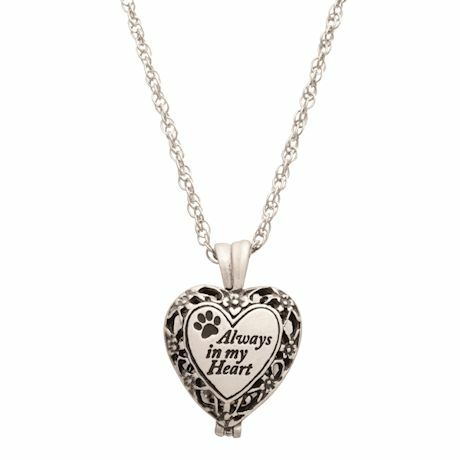 Keep a small memento of your beloved pet always within reach. 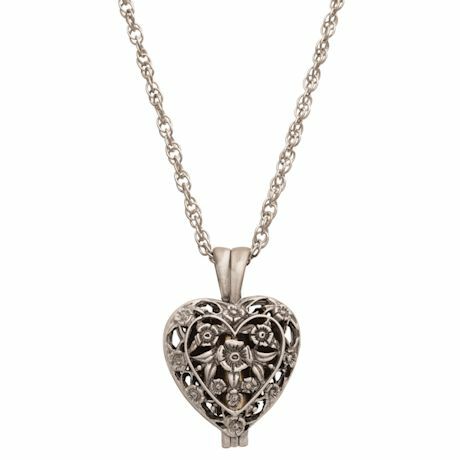 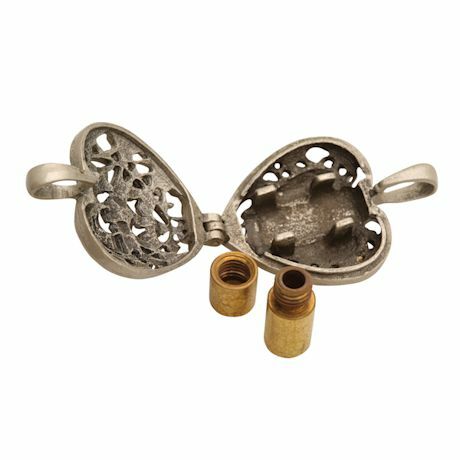 Ingeniously designed locket necklace has a tiny vial tucked inside for ashes or a lock of hair. 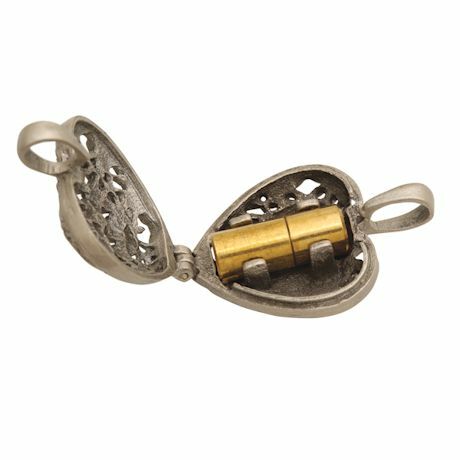 Pewter finish over brass, 1" locket on a 24" chain.